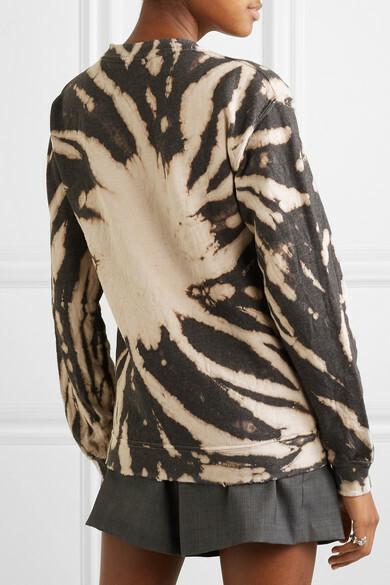 MadeWorn's sweatshirts are individually cut, sewn and dyed at the brand's studio so they're each unique and authentic. 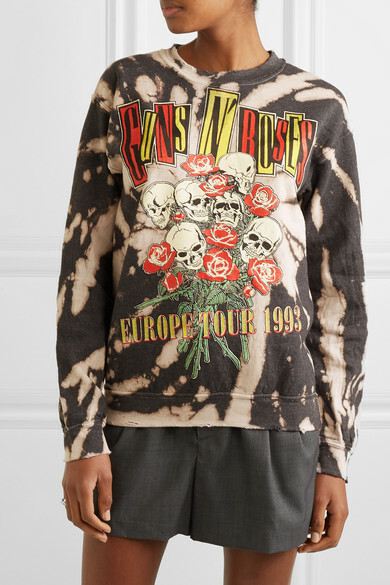 This 'Guns N' Roses' one is made from tie-dyed cotton-blend printed with sculls, roses and "Europe Tour 1993." 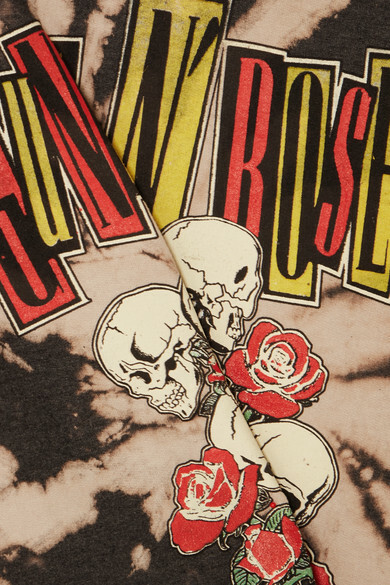 It's cut for a relaxed fit and lightly distressed, particularly at the cuffs and hem. 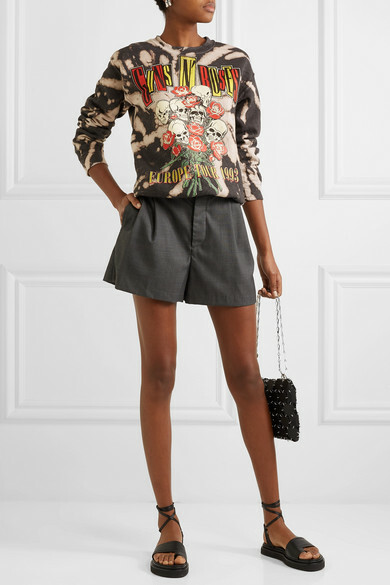 Shown here with: R13 Shorts, Paco Rabanne Shoulder bag, 3.1 Phillip Lim Sandals.